Princess Diana's former bodyguard has warned Kate not to stay with her family at their Berkshire home after her baby's birth due to security fears. Britain's Catherine, Duchess of Cambridge, has been advised not to stay with her parents after her child's birth due to security fears. The late Princess Diana's royal bodyguard Ken Wharfe has warned the duchess living with her parents, Michael and Carole Middleton, at their £4,85 million (R75 million) home in Bucklebury, Berkshire, after having her baby could pose a major risk to both her and her child's safety, as well as cost the taxpayer "hundreds of thousands of pounds" to increase security at the home. He told the London Evening Standard newspaper, "The cost implications of this operation for just a week would run into hundreds of thousands of pounds. Beyond that stay by Kate, [it] would surely hit millions of taxpayers' money." It was previously reported Kate (31) was considering returning to her family home for the first six weeks after her baby’s birth. Ken ? who was in charge of Princess Diana's security in the years before her death in 1997 ? feels Kate should instead live with Queen Elizabeth at the more secure Balmoral estate after the monarch invited her and husband Prince William (31) to stay with her after the birth. 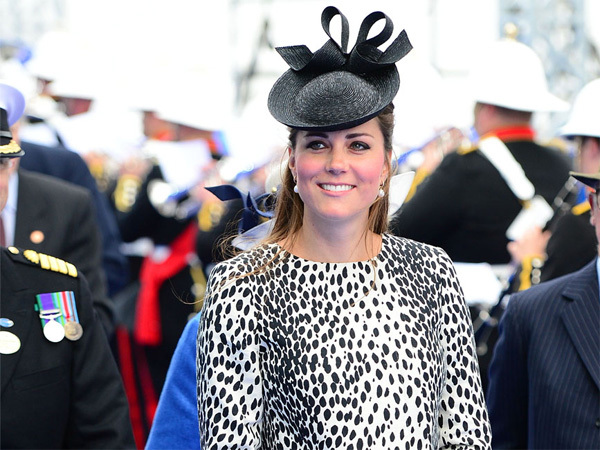 Like Kate's animal print top? Buy a similar one in our online fashion store - CLICK HERE. An adventure waiting to happen ! I'm a 44 year old woman looking to meet men between the ages of 32 and 49.